To begin the process you must first fill our application online. Select the program of interest and pay the $100 non-refundable administration fee to process your application (International Students Only). Please note that no application will be reviewed without FEE payment. Once we receive your application along with the processing fee, we will contact you to set up a Skype interview. This interview is to help us get to you know you better and evaluate each candidate. If you are accepted, you will then receive an e-mail with the acceptance letter. All students are expected to pay their tuition before or at the staring of the their program of choice. To make a payment please click the button below. Payment plans are also available for Local students paying for the program. You may make payment using your credit card, via phone by calling 416-629-9555. Reinhard College is NOT a registered school with the Ministry of Ontario Colleges and Universities and is NOT accredited by the Ontario Government. For this reason OSAP is not available through our school. Under the Private Career Colleges Act, 2005 a “private career college” is any type of organization that contracts directly with a student to provide them with a vocational program. This does not include: a college of applied arts and technology, university or elementary or secondary school. Institutions that do not have a physical presence in Ontario are also not required to be registered under the Private Career Colleges Act, 2005. For more information visit the Ministry of Training Colleges and Universities, or download their fact sheet here. 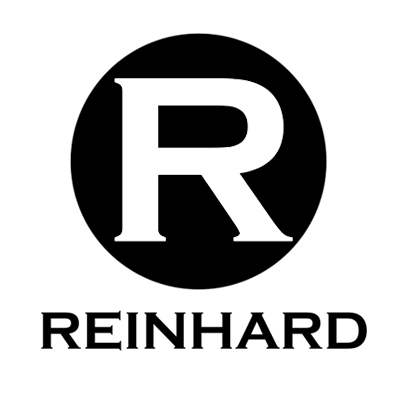 Reinhard College offers five (5) terms through out the school year. Each term goes for 8 weeks. All students must go through an audition and evaluation. International students will be contacted and evaluated through the phone. Student must pay the full program or term in advanced. If unable to pay the full semester the student may pay monthly using a credit card. Classes missed or canceled by the student will not be replaced and the student is responsible for learning the material taught in class in their own time. Classes canceled by the teacher/instructor will be replaced and rescheduled. If the student drops a course after the 5th class they will be billed for the remaining of the semester (100% of the total cost of the course). It is the student’s responsibility to buy any books or material necessary for the course. For Music students It is the student’s responsibility to bring their own instrument to every class. Students are responsible for the accuracy of their transcripts. At the end of each term or upon completion of a program of study, student grades will be available through their Program Instructors. By Friday prior to the start date of a course: 100% refund of current course plus entire remaining balance paid on the courses not taken minus the registration and technology fee. By Friday of the first week of a course: 50% refund of current course plus entire remaining balance paid on the courses not taken minus the registration fee. By Friday of the second week of a course: 25% refund of current course plus entire remaining balance paid on the courses not taken minus the registration fee. Refunds will be based on when the withdrawal is received in writing. No additional refunds on courses in progress will be given after the second week of the term. The registration fee is non-refundable and non-transferable. Please note that all refunds will be provided in Canadian dollars. Reinhard College cannot be held responsible for any currency rate fluctuations between the date of purchase and the date of the refund. Students who have transferred their enrollment after the term begins and later requests to withdraw will be eligible for a maximum refund of 25% of the tuition paid. If a student registers for a certificate program the registration y fee can be applied towards the certificate program as long as you begin study within two terms. After this time, the fee will expire. The registration fee is not transferable to individual courses. If a student withdraws from a certificate program and later wishes to re-enroll in the certificate program, the student will be required to pay all applicable fees including, but not limited to, the registration and technology fee. By Friday prior to the start date of a course: 100% refund of the current course, minus the registration fee. By Friday of the first week of a course 50% refund of the current course, minus the registration fee. By Friday of the second week of a course: 25% refund of the current course, minus the registration fee. Refunds will be based on when the withdrawal is received in writing. No additional refunds will be given on courses in progress after this time period. The registration and technology fee is non-refundable. Students who have transferred their enrollment after the term begins and later requests to withdraw will be eligible for a maximum refund of 25% of the tuition paid. In all courses a 70% is a passing grade. At mid-term & semester end, your transcripts will be reviewed by the faculty. If failures or deficiencies are found in 1 or 2 The student will be counseled by your respective Program Director. If he/she has 3 failures he/she will be placed in probationary status and will lose your ensemble privileges. If the student has 4 or more failures they will be withdrawn from the program.